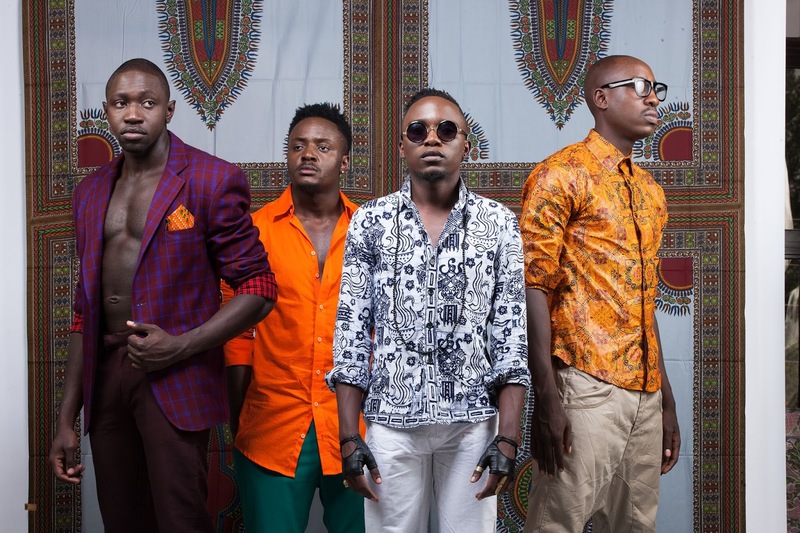 Sauti Sol is arguably the best boy band in East and central Africa. Of late, they have been doing quite well and you all know that they were the only musicians who performed and danced with our own president Uhuru Kenyatta and POTUS, President Barack Obama. The BET Awards nominees have chucked a couple of mega hits, Sura Yako and Nerea being the recent super hits and it seems like they are enjoying the fruits of their labour. 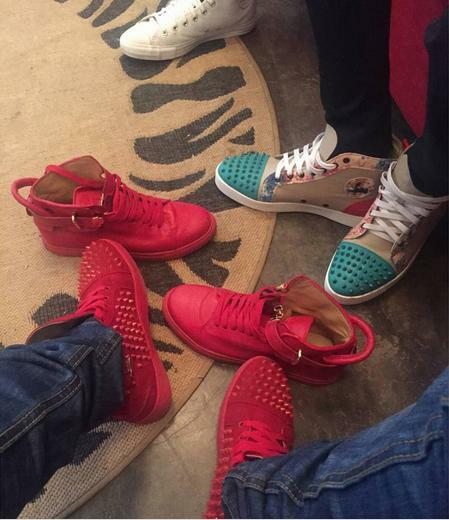 Sauti Sol’s controversial singer, Bien Aime Baraza (uluhya itamuua) decided to acquire a kes 259,621 ( $ 2,500) red Christian Loubotin sneakers. 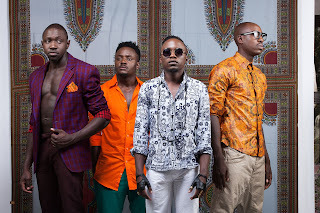 As other Kenyan musicians are complaining of the callous economic times, Sauti Sol are busy balling without apology. Below are photos of the shoes.